In society today we are dealing with more and more shootings especially in our schools that call for more security to ensure the safety of all students across the world. Our lockdown last year caused a scare that made the students and teachers of Fruita Monument realize that we need to do something in order to make the students as safe as can be. 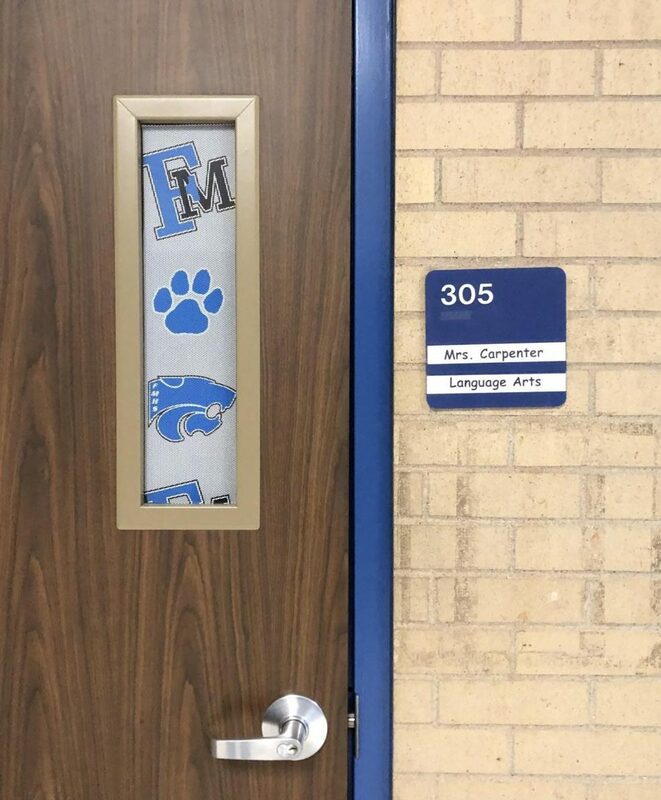 Our school has decided to put coverings on the windows of all the classroom doors so that it is more difficult to see into as well as to make the students feel safer. There has been an argument as to whether this was a good way to use the money from the school and, quite honestly, I believe that it was smart to make. Shootings right now are a part of our lives and happen frequently more than they used to in the past. Also, with the new technology and the ability to make better bombs and easier access to guns, whatever the school can do to ensure our safety is what is best for us. The money that was spent on the coverings for every classroom door was well spent and a positive investment to our school so that everyone can come to school and feel safe like they are supposed to. Another student Emily Switzer a junior said “I believe that it will make many people feel safer and feel comfortable at school which is how it should have been all along. The fact that we as students and teachers fear to be at school is wrong and I think these window coverings will help do that for us.” These coverings will help our school be safer and might be a good thing for other schools to do too. As this year is coming to an end, there have been a reported 307 mass shootings in America says the Denver Channel. This is way to big a number and proves that we need to take the safety of not only our students and teachers but the rest of society too very seriously and make some changes so that number goes way down. I hope that our school with its new coverings will set an example for other schools so that they can invest and make a change to ensure the safety of their students and staff. The world is changing in more ways than one and our safety and security is being compromised all the time. Changes need to be made so that we can make our world a better place to live in for future generations, and they can continue to pass it along for years to come. These coverings will hopefully make people less likely to carry out shootings in schools and ensure safety for the students of the future.